After the making the decision to send bulk email on behalf of your business or organization, one of the first things to think about is what address you’ll use in the ‘From:’ field of your messages. Many of the technical settings you’ll use to make your email seem legitimate will be connected to the domain you use in the From: address, so this is an important decision. A key concept to understand when making this decision is domain reputation. Emails accrue reputation to both the sending IP address and to the domain they’re sent from. Email reputation is a little like a credit score; receiving systems will put together a reputation based on how good or bad the messages connected to a given domain have been in the past. While the From: address alone is easily faked, most good senders will use this domain in DKIM authentication and potentially other places in the technical headers so that receiving systems are reassured that the domain in question the legitimate sender of that message (as opposed to phishing or fraud, which antispam systems work hard to detect). Because domain reputation looks at past history and new domains are often exploited by spammers and other malicious senders, it’s a good idea to send with a domain that is already sending mail whenever possible. If you do need to send with a brand new domain, be aware that you’ll need to build up your sending history before you can expect great results. Do subdomains count as “new domains” or do they have the same reputation as their parent domain? Unfortunately, there is no standard for this – some systems that measure reputation see subdomains as essentially separate from the parent domain, while others bundle reputation together. Subdomains can be a good choice when you want to slightly separate out your email streams while still maintaining a connection; you might set up newsletters.company.com for newsletter traffic, and receipts.company.com for receipts. For larger organizations considering using their main corporate domain for email, there are a couple of considerations. The first relates to security – make sure your company’s IT security group is willing to let you use the domain with a third party sender! Provided IT is ok with it, you’ll also want to verify that you understand all the mail traffic using this domain. 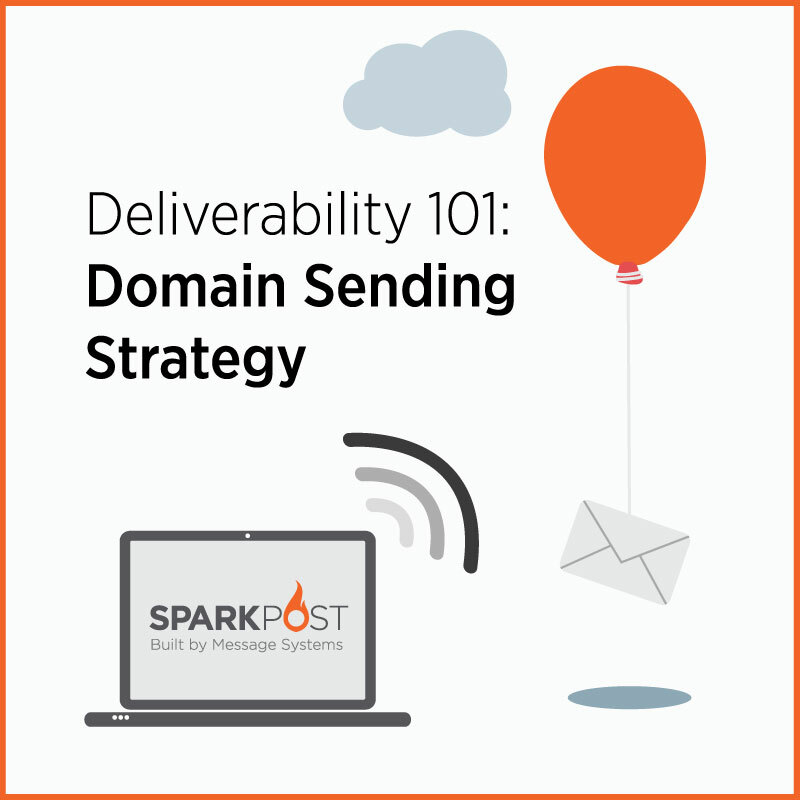 Larger companies may have diverse groups all sending with the same domain, which can make it difficult to resolve deliverability problems if the cause of the issue stems from mailings outside your control. That said, using a unified domain for all corporate communications can help smooth over ripples in reputation resulting from one less-than-stellar mailing, and can help your recipients – both the technical systems and the actual humans receiving your email – trust you and your mailings, resulting in better overall deliverability.